Whether you are unsure of your career path, are looking for a new job, want career advancement, feel dissatisfied with your career, or feel your career needs to be re-energized, you can take control of your Feng Shui Career Bagua area with our Swarovski Bagua Career Hanging Crystal. Like all of our beaded crystals, it is a programmed and hand beaded crystal. You will find our Swarovski Bagua Career Hanging Crystal on Zen Appeal here http://www.yourfengshuistore.com/Swarovski-Bagua-Career-Hanging-Crystal_p_21.html . Looking for Buddhist items to focus on Buddha's teachings so you can attain enlightenment? Now we have a Buddhist section on our Feng Shui Spiritual page that features Tibetan Buddhist must-haves including small Buddha figures, Tibetan Buddhist animals and Tibetan Buddhist symbols. 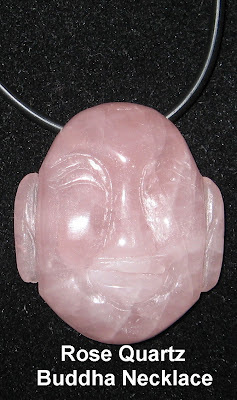 Zen Appeal Feng Shui Spiritual page http://www.yourfengshuistore.com/Spiritual_c_24.html . Feng Shui Consultants of Boca Raton and Zen Appeal have added a new item at Zen Appeal. The Nanbu Lock Coin will help you improve your investment luck in stocks, real estate, retirement funds, and other risks. It will help you make smarter choices and help you protect your investments. You will find our Nanbu Lock Coin on Zen Appeal here http://www.yourfengshuistore.com/Nanbu-Lock-Coin_p_55.html . When you save a lot of Money on your Zen Appeal Feng Shui order we write down the amount of savings on your receipt with a Red Pen and Circle it in Red! Here is one customer’s savings - This Could Be You! How much will you save? Zen Appeal Sale page http://www.yourfengshuistore.com/On-Sale_c_23.html . Rosh Hashanah is coming. Get ready to celebrate the Jewish New Year beginning September 16th. 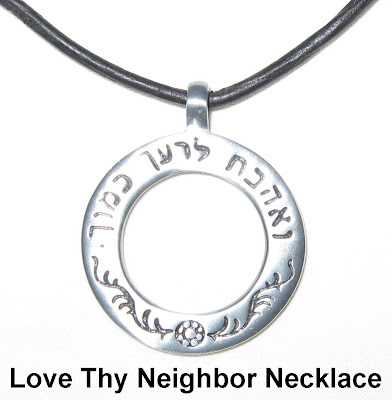 Find the perfect piece of jewelry to complete your Rosh Hashanah look on Jewish Jewelry by Leah Malia http://www.yourfengshuistore.com/Jewish-Jewelry_c_36.html. This August Bagua Coins are hot. Safety has been an issue in these troubling times; and the Bagua Coin protects discreetly or proudly when wearing the sleekest of summer clothing. They are the powerful portable protector that everyone has to have. They are thin enough to slip into a pocket, wallet or handbag. Bagua Coins are attractive enough to use in jewelry or display on your desk. You will find our Bagua Coin Charm on Zen Appeal here http://www.yourfengshuistore.com/Bagua-Coin-Charm_p_31.html . Your dining room is always a Wealth and Prosperity area, whether it is in your Wealth and Prosperity Feng Shui Bagua area or not. Decorate it with representations of wealth and food to increase your prosperity. My neighbor's front door is directly opposite my front door. Mark and Leslie, what do I do to deflect the negative energy? Thank you for your question. To deflect negative energy at the front door, like negative energy from a neighboring home's entrance, hang a 30 mm Swarovski Hanging Crystal to protect you from the poison arrows. You will find our 30 mm Swarovski Hanging Crystal on Zen Appeal here http://www.yourfengshuistore.com/Swarovski-Hanging-Crystal_p_13.html . and your question and answer could be chosen for our newsletter. Our new Mystic Knot Hanger is on our Feng Shui Protection Cures page http://www.bocafengshui.com/fengshuiprotectioncures.html#here . The Mystic Knot Hanger will protect people and property from evil spirits. The Mystic Knot will also end your streak of bad luck and transform you into a person with good luck. 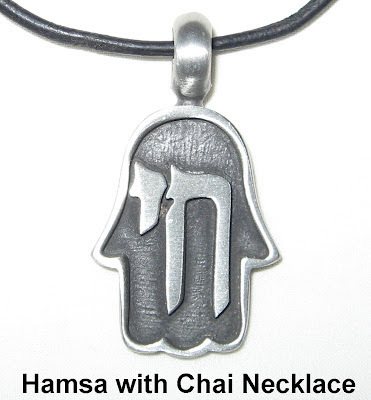 Our new Hamsa with Chai Necklace is on Zen Appeal here http://www.yourfengshuistore.com/Hamsa-with-Chai-Key-Chain_p_141.html . The Hamsa with Chai Necklace will protect you from the evil eye, remind you that G-d is blessing you and bring you luck. The Chai in the center represents you living a long and healthy life. We've been shopping for you. We love shopping as much as you do. We have had a lot of fun buying new Feng Shui cures for you over the last few months. Here is a sneak preview of some upcoming products! Future products include: Nanbu Lock Coin, Victory Banner Key Chain, Dharma Wheel Hanger, Yin Yang Bracelet, Prosperity Coin Hanger, Lock Charm Necklace, Feng Shui Wealth Deity, and Jade Ingot Hanger. Start making your shopping list now because we're stocking up with new stuff you're gonna love! Zen Appeal has a page dedicated to special sale items, each available for a limited time only. Sale items come and go without warning, so please check the page often and enjoy the big discounts! Here's the link to the Zen Appeal Sale Page http://www.yourfengshuistore.com/On-Sale_c_23.html . Featured Sale Items include - Triple Coin Necklace, Wealth Coin Hanger, Golden Headed Turtle, Dream Big Dream Catcher, Lucky Cat - Happy Business Purple, Fertility Buddha Necklace, Large Chinese Coin on Red Cord, Ten Commandments Necklace, Lucky Carp Hanger, Longevity Bracelet, Lotus Coin Flower Hanger, Feng Shui Nine Coin Hanger, and more! Savings up to 33% off on some items! Some of our most popular items are on sale! Sale Prices starting as low as $.50! Our Triple Coin Necklace is on sale for $9 - that's 25% off its regular price. The Triple Coin Necklace includes three traditional I Ching Chinese Coins hand tied together on red cord and tied with a knot. In Feng Shui, three coins symbolize your money always being replenished. Your cash continues to be replaced. 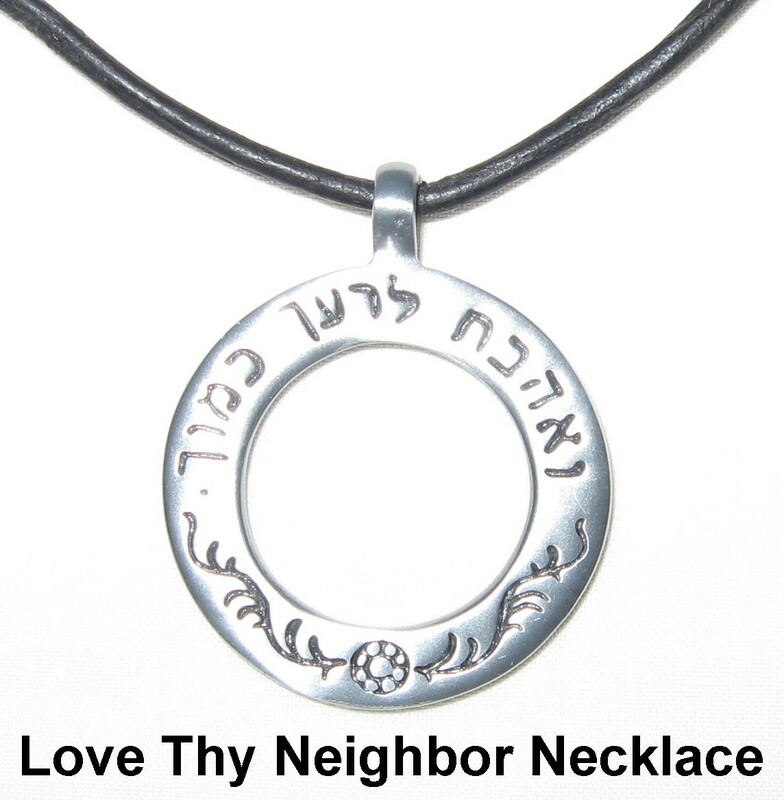 You will find our Triple Coin Necklace on Zen Appeal here http://www.yourfengshuistore.com/Triple-Coin-Necklace_p_117.html . Recently some of our popular items have unfortunately been discontinued by our suppliers. We have limited quantities of the following items available: Cloisonne Fertility Elephant Pendant, Fertility Elephant Key Chain, Gold Lucky Turtle, Golden Headed Turtle, Lucky Turtle, Prosperity Union Money Frogs, Buddha Mouse Pad, Rose Quartz Kwan Yin Necklace, Pocket Fertility Angel, Genuine Chinese Coin Red String Bracelet, Angel of Healing, Long Life Character, Lucky Cat Wish Box, Evil Eye Necklace, Chinese Calligraphy Bracelet, Longevity Bracelet, Angel Within You, Power Silver Necklace, Feng Shui Wealth Handbag, 3-D Dreams Dream Catcher, and Silver Floating Heart Necklace. Come and stop by our Zen Appeal News page http://www.bocafengshui.com/zenappealnews.html to see our top Best Sellers and purchase them, find out what pages we have updated with new products, find out when the tip of the month has been changed, and see a selection of our Feng Shui new products and purchase them. All this, and more, just for you at our Zen Appeal News page http://www.bocafengshui.com/zenappealnews.html . Feng Shui Consultants of Boca Raton and Zen Appeal have added a new item at Zen Appeal. We have added the Gold Ingot to Zen Appeal. The Gold Ingot increases your ability to acquire money. It is an impressive addition to your desk that improves your Feng Shui wealth energy. 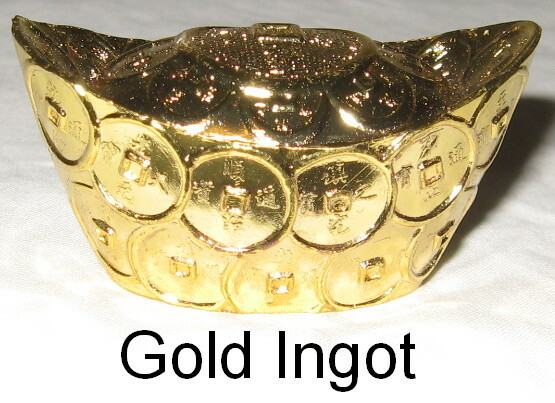 You will find our Gold Ingot on Zen Appeal here http://www.yourfengshuistore.com/Gold-Ingot_p_43.html . Portable forms of mystical protection have been necessary since ancient times. Whether you need protection from bodily harm or someone stealing your lunch, a portable protector is necessary. The Bagua Coin Charm is the perfect portable protector. The back of the Bagua Coin Charm features a good luck incantation written in Chinese asking for protection from all evil forces, safety and good energy. It is easy to carry the Bagua Coin Charm in a wallet, purse, pocket or handbag. It is also available as a necklace and keychain. 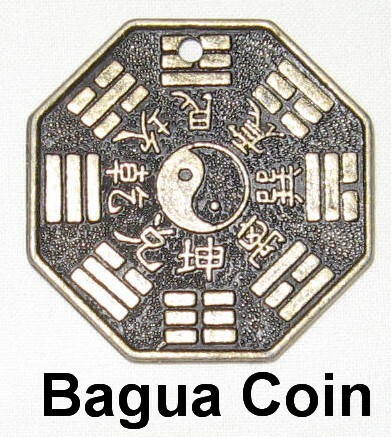 You will find our Bagua Coin Charm on Zen Appeal here http://www.yourfengshuistore.com/Bagua-Coin-Charm_p_31.html . Olympic size savings await you at this month's Zen Appeal sale. Our August Sale items have been added http://www.yourfengshuistore.com/On-Sale_c_23.html . Some of our new sale items include our Triple Coin Necklace, Wealth Coin Hanger, Golden Headed Turtle, Dream Big Dream Catcher, Lucky Cat - Happy Business Purple, and our Fertility Buddha Necklace. Please visit our Zen Appeal Feng Shui Product Sale page http://www.yourfengshuistore.com/On-Sale_c_23.html to see all the great discounts for yourself. Savings up to 33% off on some items! Some of our most popular items are on sale! Sale Prices starting as low as $.50! Don't forget, Free Shipping for all orders $50 and over.